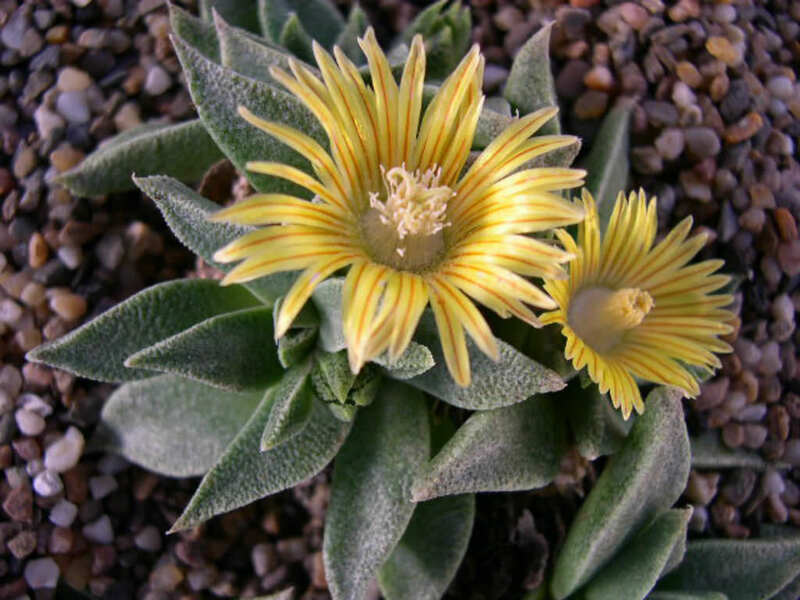 Nananthus vittatus is a low, multi-branching succulent forming a mat with leaves arranged in low rosettes. The leaves are opposite, soft, ovate, lanceolate, and sharpened on the top, dark green or dark olive-green in color, up to 12 inches (30 cm) long and up to 0.4 inch (1 cm) wide. 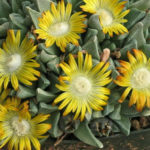 Daisy-like flowers are yellow with a red stripe down each petal and up to 1 inch (2.5 cm) in diameter. USDA hardiness zone 9b to 11b: from 25 °F (−3.9 °C) to 45 °F (+7.2 °C). 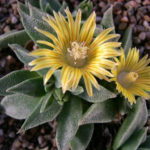 Nananthus are easy and rewarding plants. In the wild, they are summer growers, but in cultivation they often behave as winter growers. 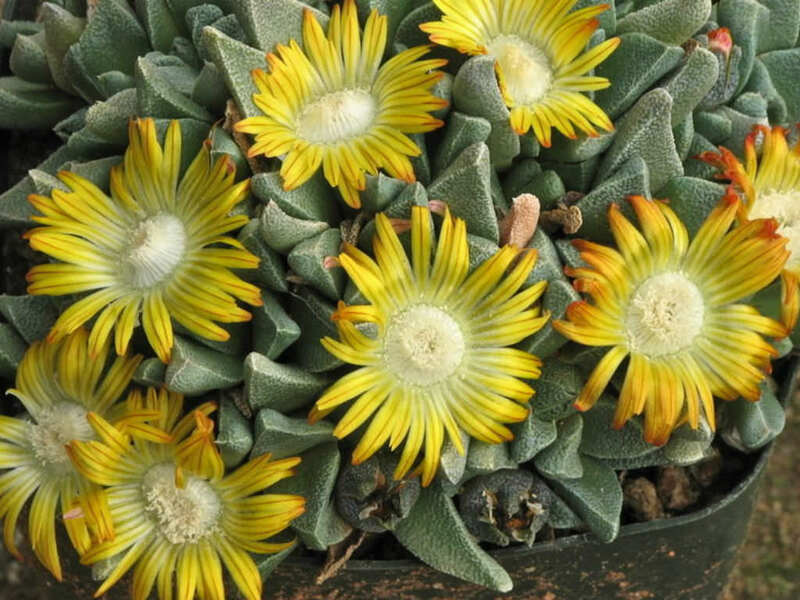 Coming from a more continental part of South Africa, Nananthus will tolerate intense heat, as well as some frost. They should be lightly shaded in summer. Water minimally, only when the plant starts shrivelling. They need full sun or light shade on the other seasons. They generally bloom in the fall. 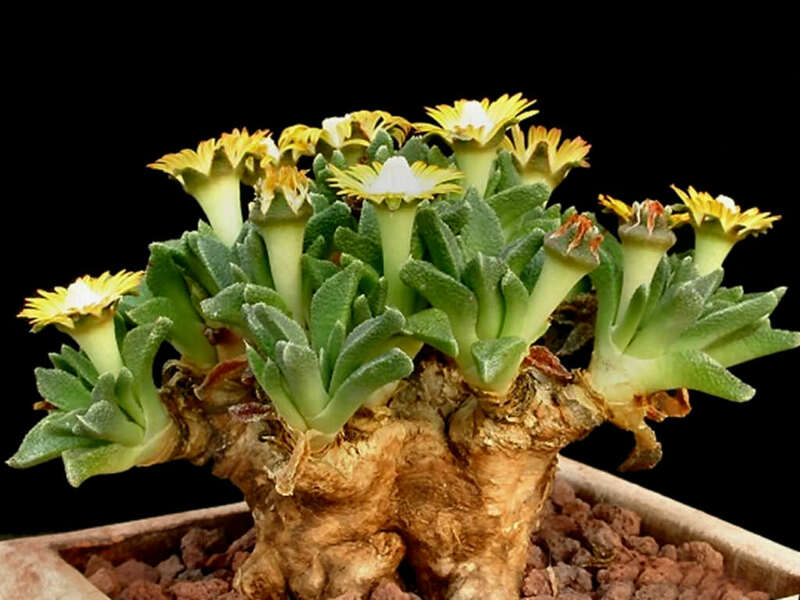 Most species develop large root systems, and need to be kept in a large pot. This also means that the soil mix needs to have an excellent drainage to avoid root rot. They are sometimes planted so that some of the root system is shown. 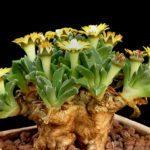 Nananthus will take a small amount of frost for a short time. 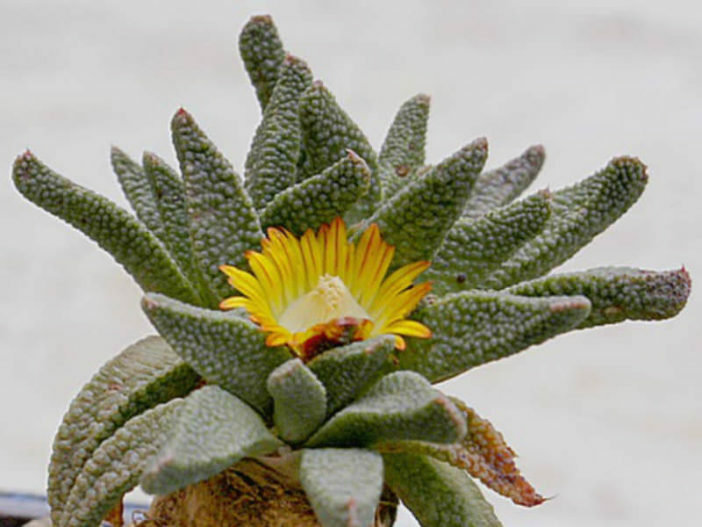 It is reported to be hardy to at least 10°F (-12°C). Keep cool in summer. Nananthus vittatus is native to South Africa (Mpumalanga).